Big Picture Mapping has never been so easy! 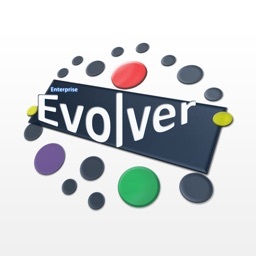 Enterprise EvolverTM ("Evolver") is a productivity mobile business app. 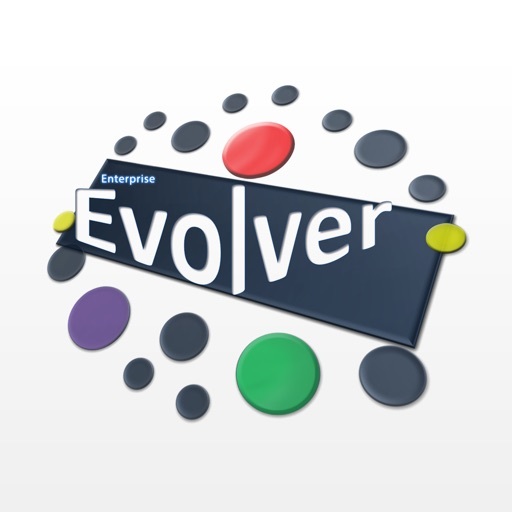 The Evolver app allows business and IT professionals – Product Manager, Business Consultants, Enterprise Architects, Business Analysts, IT Managers and Business Managers to map the Whole enterprise or just a part of the enterprise. You can map Customer Jobs & Journeys, Business Goals & Strategy, Business Capabilities & Outcomes, Business Processes, Information, Technology and Application Systems and understand how all parts of the enterprise fit together and relate to each other. 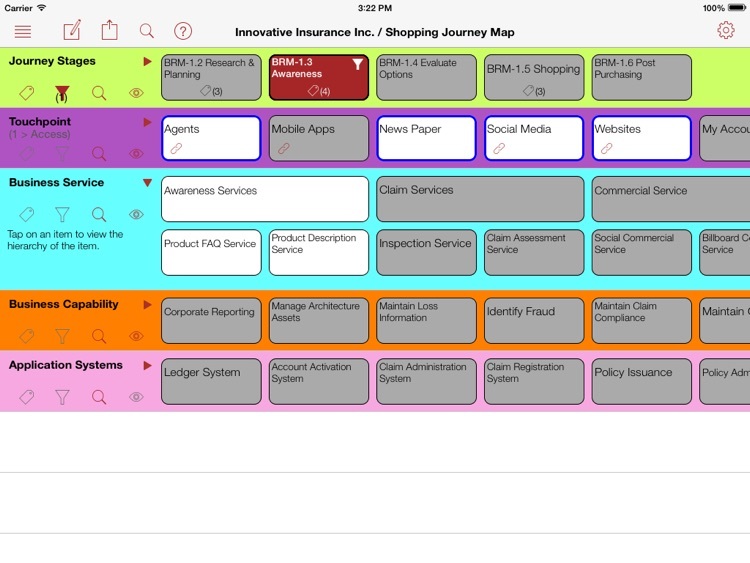 Unravel the potential of your business by mapping and architecting the whole enterprise. Visualize the whole enterprise or a part; understand the dependency & gaps and remove redundancy in your business and IT. Realize the Enterprise Business Model. 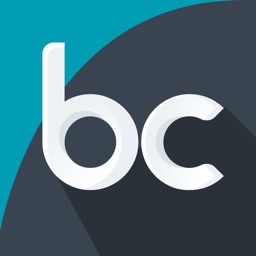 Develop Capability Model, Technology Model or Customer Journey Model and connect all the dots. What can you do with Enterprise EvolverTM? •	Present business centric views and blueprints with business capabilities and related resources to describe your organization. 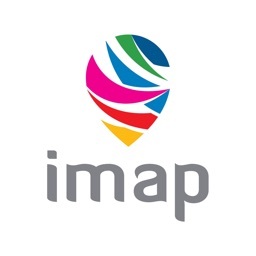 •	Map business capabilities for business planning and transformation and view the business situation from a holistic perspective. 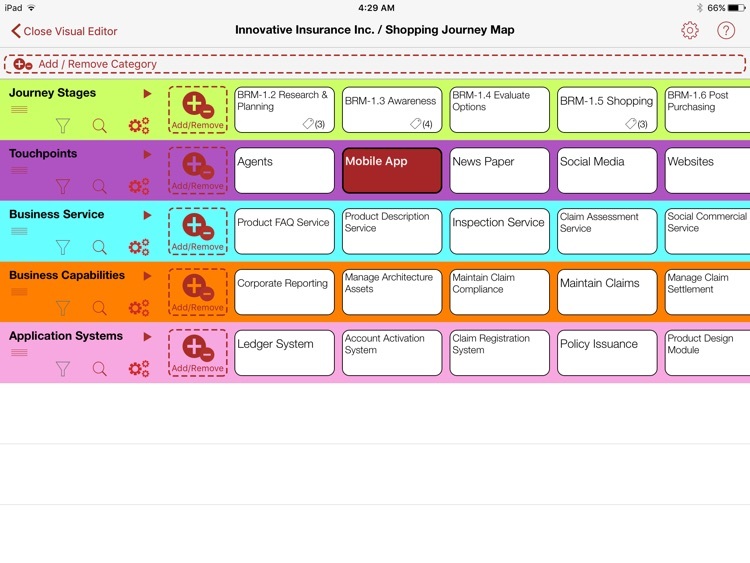 •	Map your customer journeys by visualizing customer pain points and touch points. 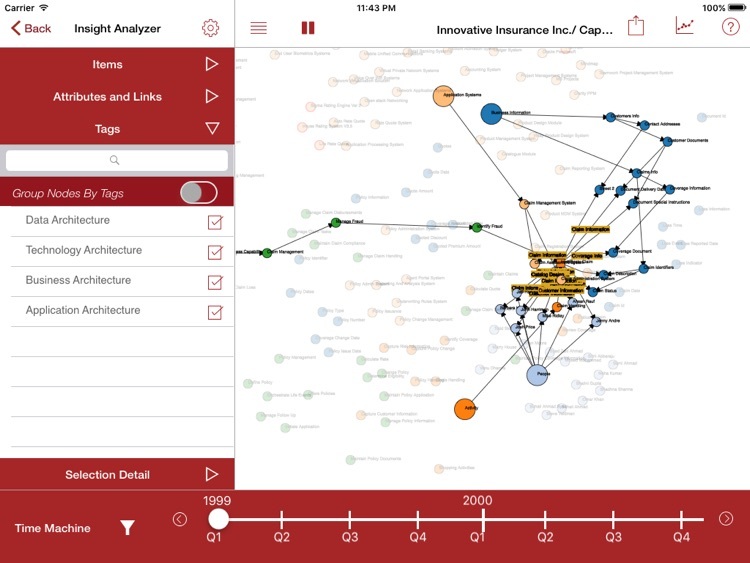 •	Capture any organizational hierarchical data and relate them together in a map with few taps. •	Capture relationships between capabilities and IT Resources to show how IT supports the business and identify duplicate in IT resources. •	Generate Heat maps to find and close gaps, shape your future strategies. •	Create your visionary views to drive transformational change by mapping current and future possibilities. •	Map and shape your enterprise architecture and drive efficiency by influencing the technology decisions being made each day. 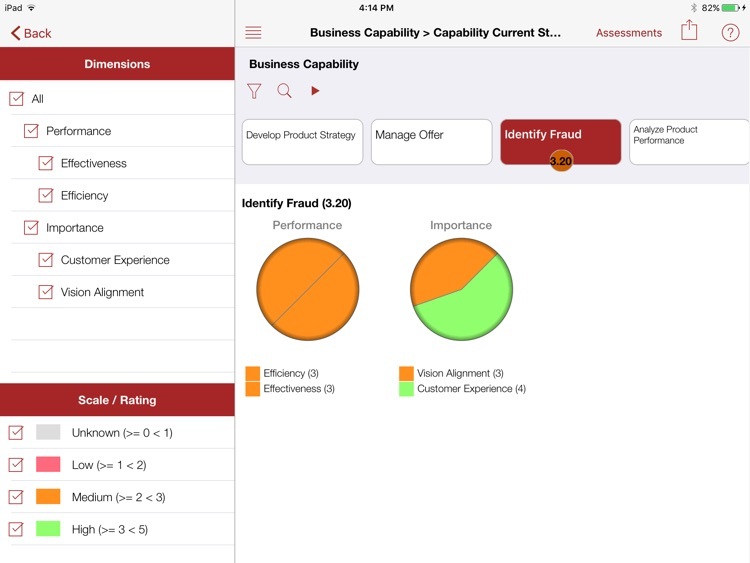 •	Capture and map business requirements for capabilities to support goals. •	Identify issues and analyze your business environment and remove redundancies, overlaps and pain points. 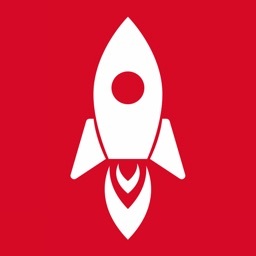 A new tool in your business transformation arsenal! 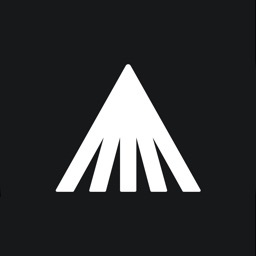 Forward-thinking business mapping and architecture solution! 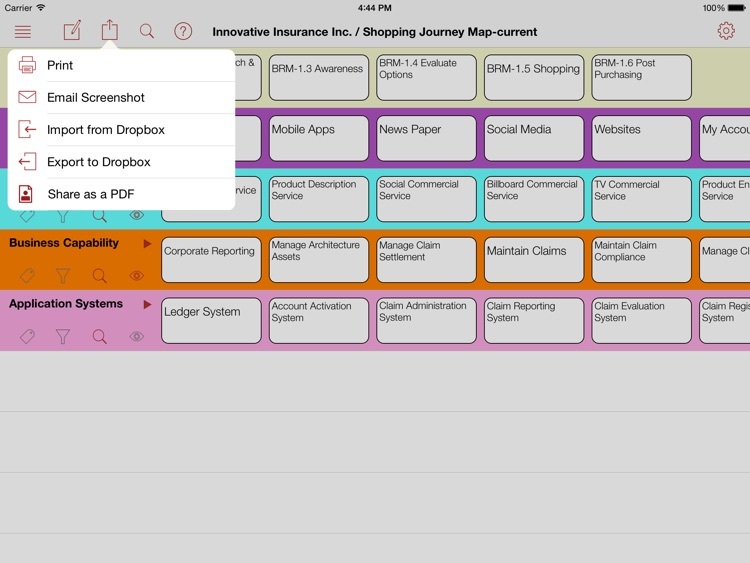 Get Ready to Experience the “An App to Map the Whole Enterprise" on your iPad!